Nelson Ireson November 10, 2014 Comment Now! Picking the best performance and luxury car of the year is a difficult thing. Determining which is the best, or at least your favorite, from a crowd of very pleasing choices, can often come down to purely qualitative elements. So it is with Motor Authority's Best Car to Buy 2015, the 2015 Alfa Romeo 4C. 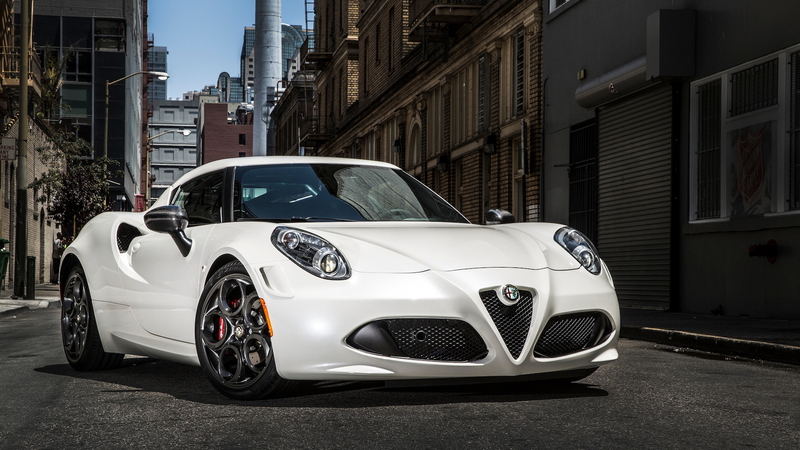 Quantitatively, the Alfa Romeo 4C is around the upper mid-pack of the 15 nominees for this year’s award. Its 4.5-second 0-60 mph time is quick, but by no means tops. Its 237-horsepower output from a pint-sized 1.7-liter turbocharged four-cylinder is actually near the bottom of the heap. But its carbon fiber monocoque chassis, mid-engine design, and low curb weight make for a knockout combo punch. Especially when you get back to the qualitative side of the equation. 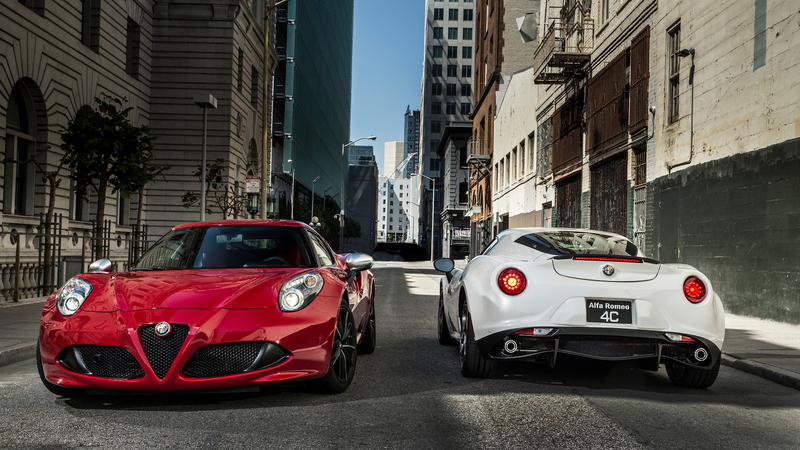 Styling, while always in the eye of the beholder, is definitely one of the 4C’s strong suits. In our eyes, Alfa Romeo hit a home run with the car, creating a design worthy of Ferrari for a fraction of the price. Steering feel, too, is often open to wide interpretation, but the all-manual rack of the 4C, while heavy at parking lot speeds, comes to light and lively life on the open road, naturally gaining weight and resistance as grip rises, naturally falling off as grip wanes. 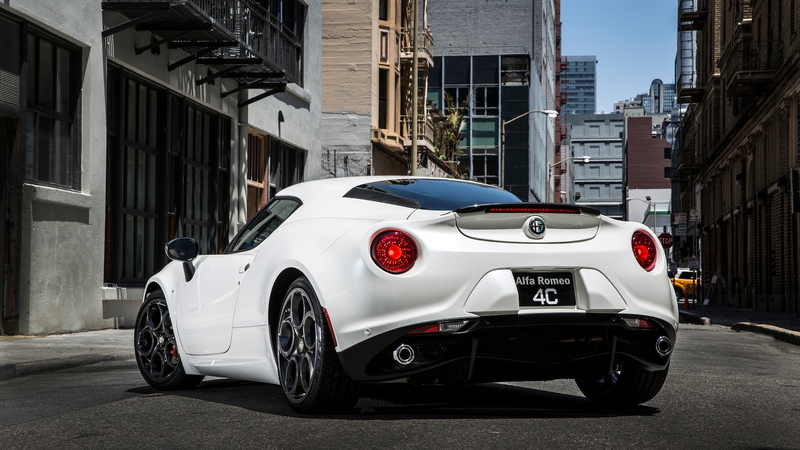 It’s a refreshing experience in comparison to the hyper-simulated electric steering of most of the rest of the nominee field, and one of the core aspects of the 4C’s visceral appeal. Sound also plays a big role in the 4C’s appeal, from the spool of the turbo and the blow-off valve’s whoosh to the raucous hammer of the engine itself, mounted seemingly just behind the driver’s ears. There’s very little sound insulation between driver and engine bay, but, for those with the right mindset, that’s an advantage—a bonus—just like the sound of the contact patches as they scrub, squeal, and slide their way across the tarmac. The information, the sensation is unreal. Unfiltered. Unlike almost any modern car we’ve driven since the 458 Italia. 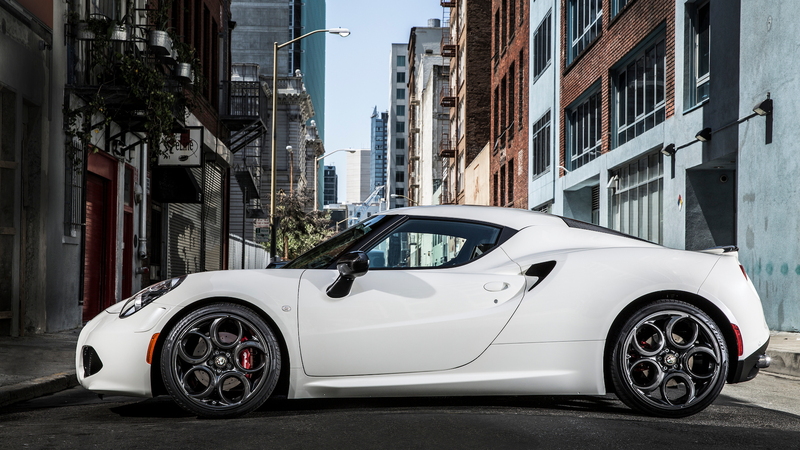 Throttle response is quick; shifts are precise; there's an immediacy to every control and interface of the 4C. 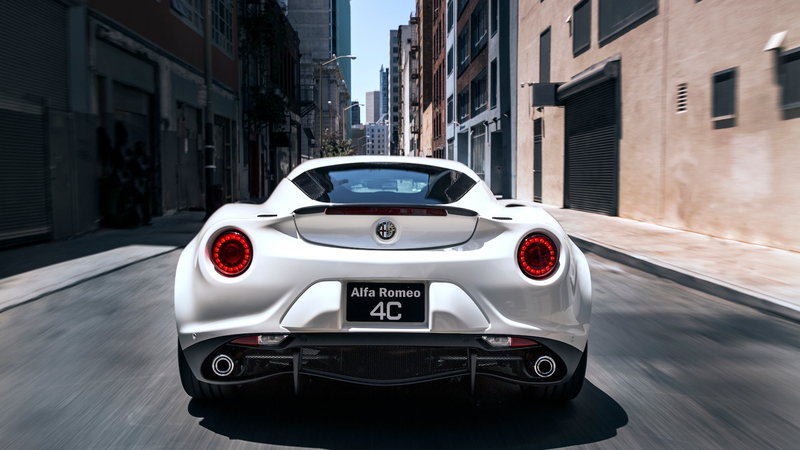 All of which is to say: The Alfa Romeo 4C is not just a car, it’s an experience. It’s something every enthusiast should drive just to know what passion and lust and sensuality are about behind the wheel of a car. There are faster cars out there, yes. There are cars that handle better, or more desirably, at the absolute limits. But there aren’t any new cars this year that deliver the incomparable quality of being like the 2015 Alfa Romeo 4C.